Ben is a Financial Services Representative with Financial Partners of Upstate New York, a MassMutual firm. He is based out of the Rochester office. As a financial professional, Ben offers insight on several areas, including retirement planning, life insurance, wealth management, and income distribution strategies. Ben’s approach to his financial practice is two-fold. 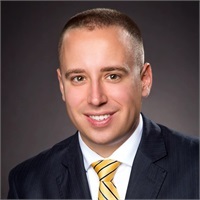 Initially, his goal is to gain a thorough understanding of his client’s experience and impression of financial advisors and financial products. His aim is to build a strong level of trust between himself and his clients. Secondly, he works with his clients to clearly define their financial goals, both short-term and long-term. As they work towards these goals, Ben remains a close advisor, continually monitoring and reviewing the financial strategies they built. Ben received his Bachelor’s degree from the University at Albany. He served in the Marine Corps infantry for 6 years, holding leadership positions as a team leader and squad leader, and is currently a sergeant in the US Army Reserve. Prior to joining Financial Partners, he was with AXA Advisors for three years. He is a member of the Catalyst Circle, a group of young professionals committed to promoting STEM funding with the Rochester Museum and Science Center. He currently resides in Rochester’s Park Ave neighborhood and enjoys working on home renovation projects, fishing, and reading history books in his spare time.